Whit Stillman’s indie classic, Metropolitan, continues to play all around the country. This time it’s heading back to the East Coast to Baltimore. 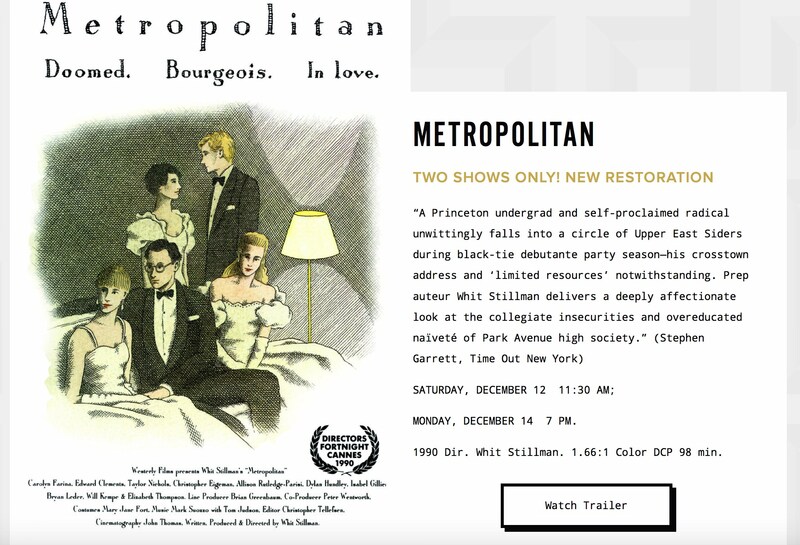 Metropolitan will play at The Charles Theatre on December 12th and 14th.